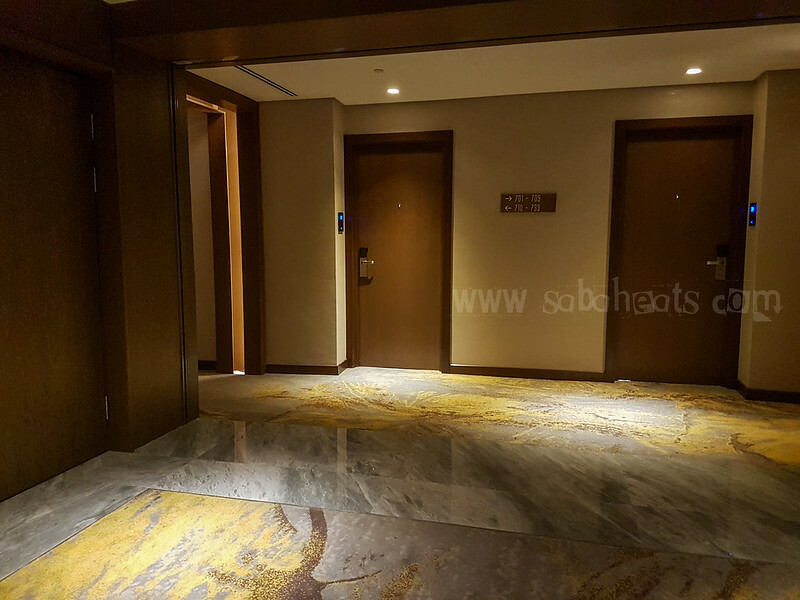 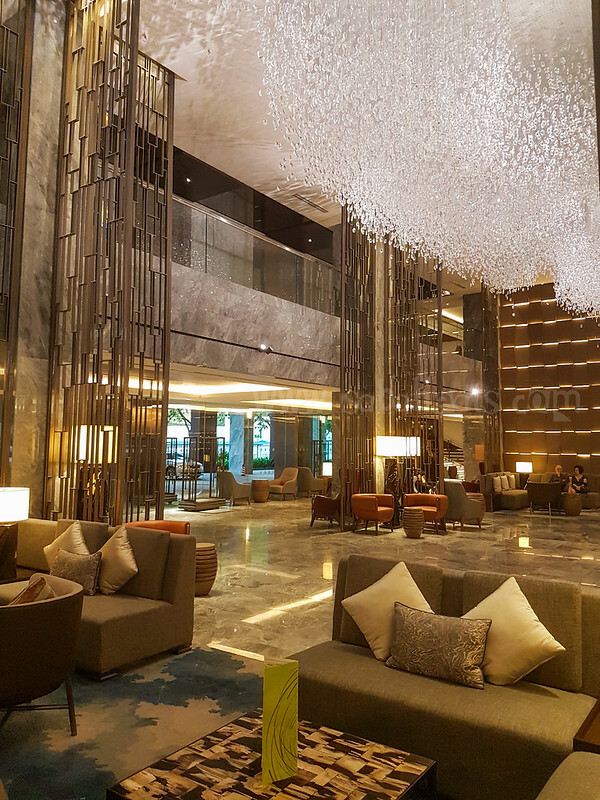 Hilton Kota Kinabalu finally open its door in January 2017. 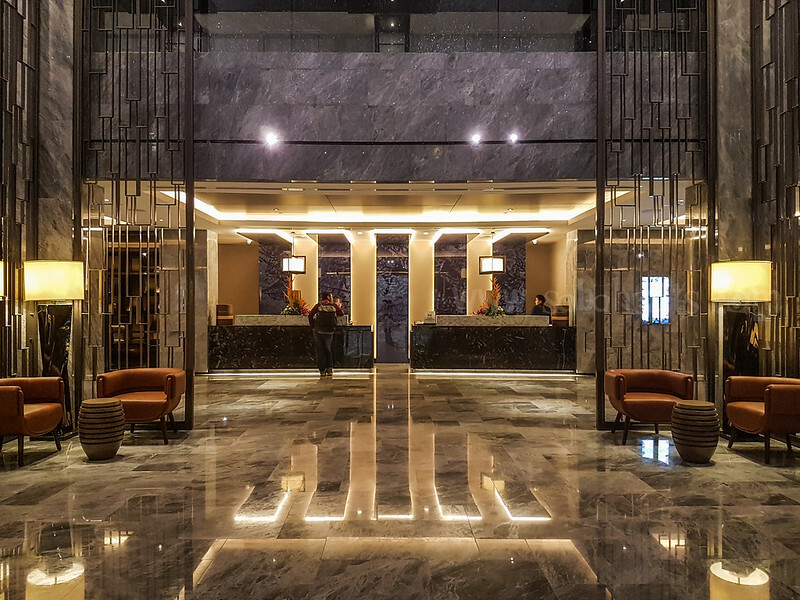 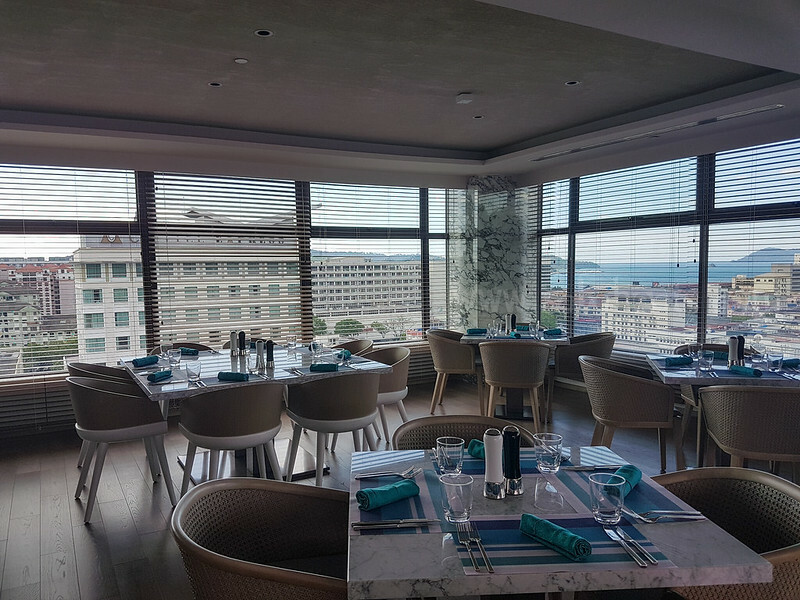 The first Hilton in Kota Kinabalu featuring 305 guestrooms and suites, restaurants and bar, spacious rooftop pool and 13 function and meeting spaces. 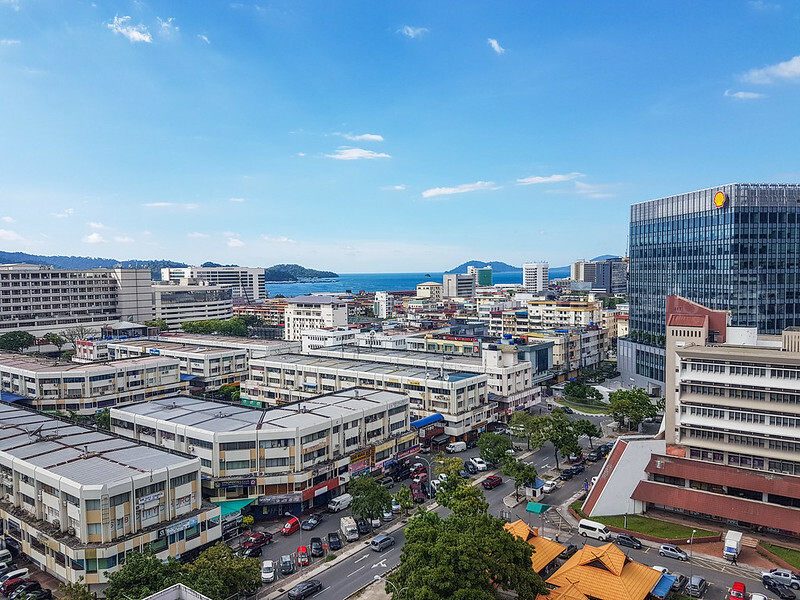 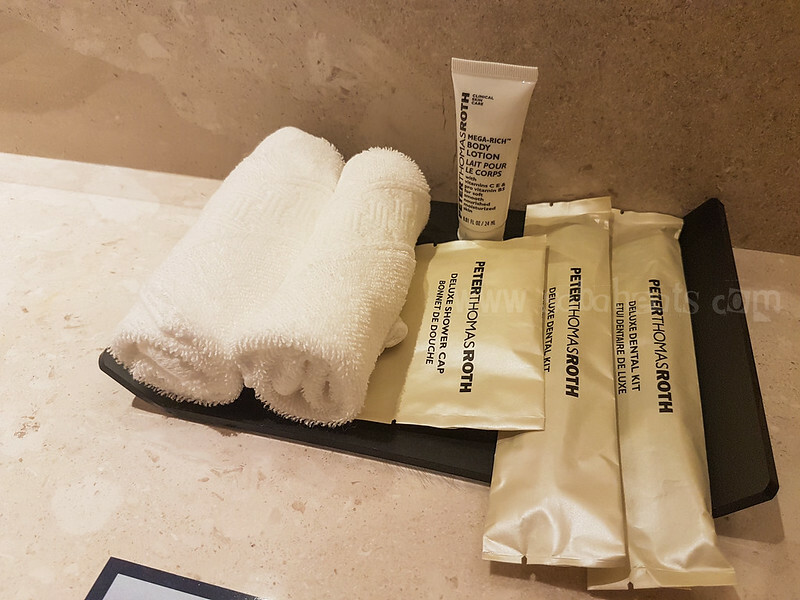 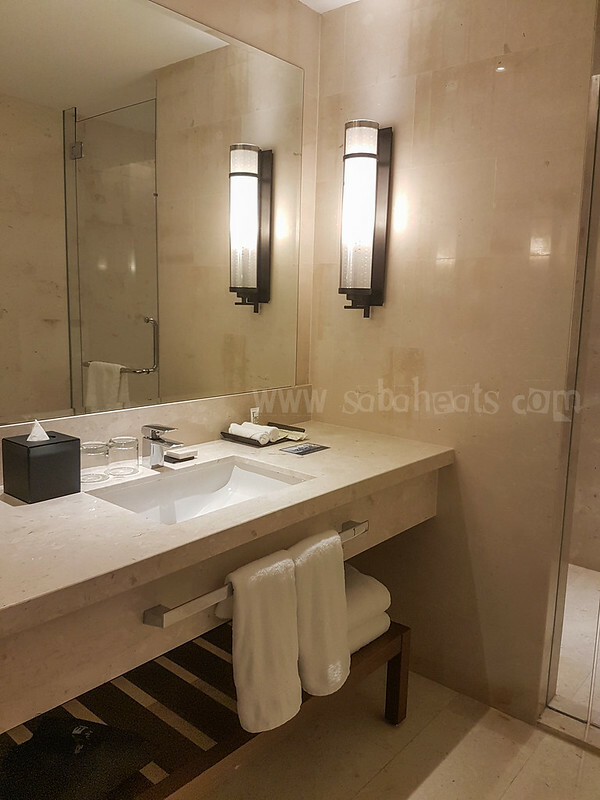 Hilton Kota Kinabalu is located in Asia City district where there are few seafood restaurants located and near to major shopping malls and tourist spots. 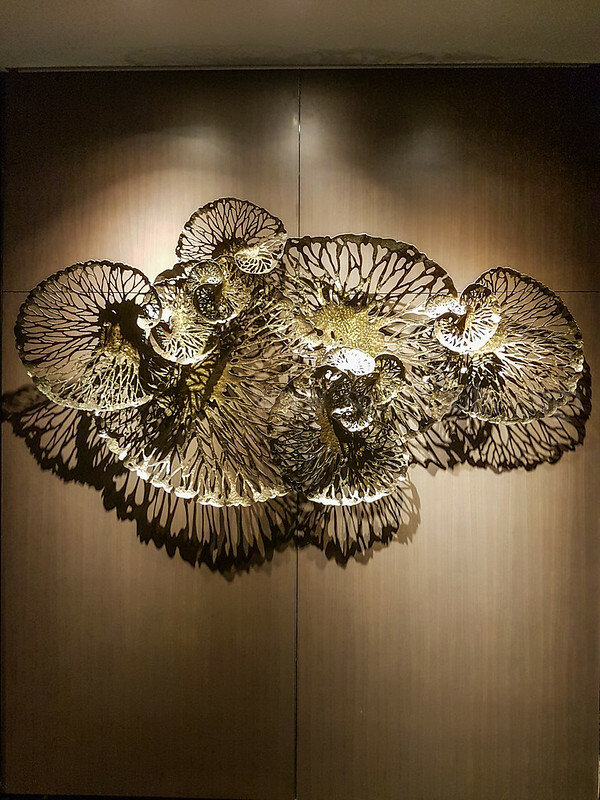 Beautiful finishing at the lobby of Hilton Kota Kinabalu. 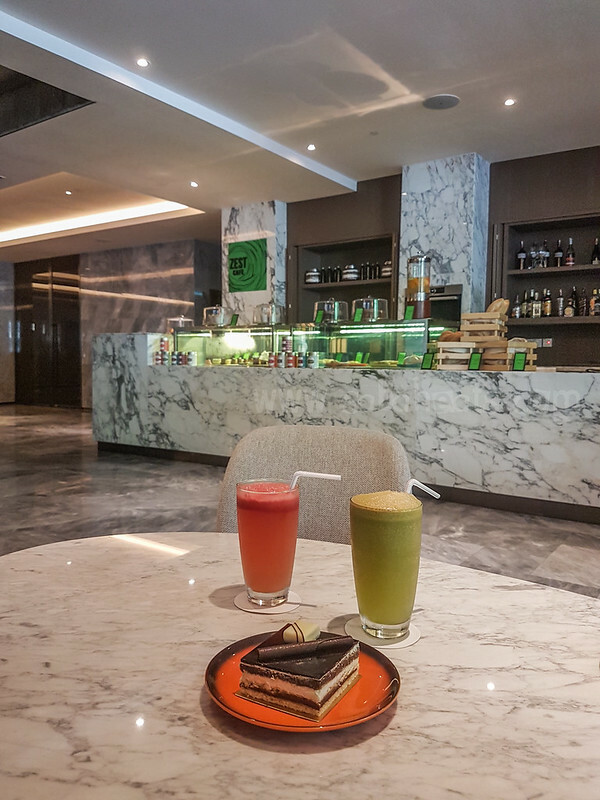 The friendly staffs greet us and invite to have a drink at Zest Cafe which is located beside the lobby for a drink and pastries while waiting for our check-in process to be completed. 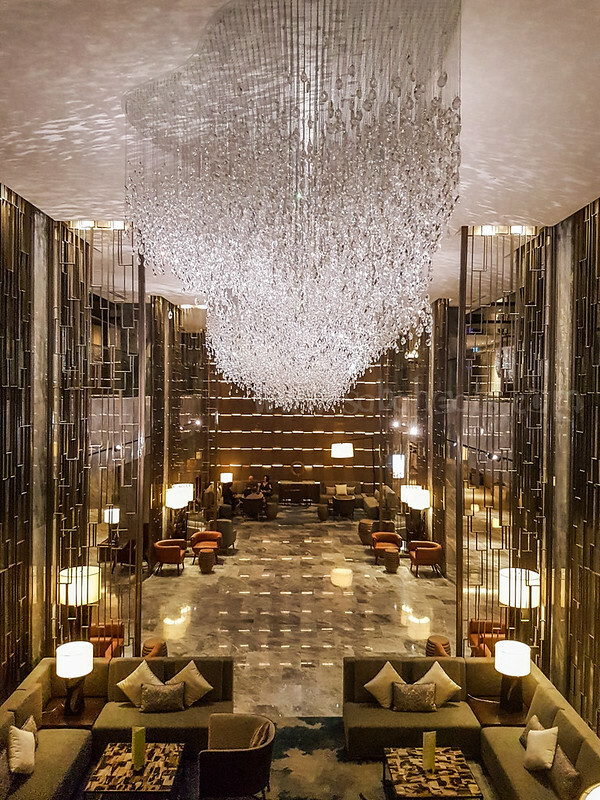 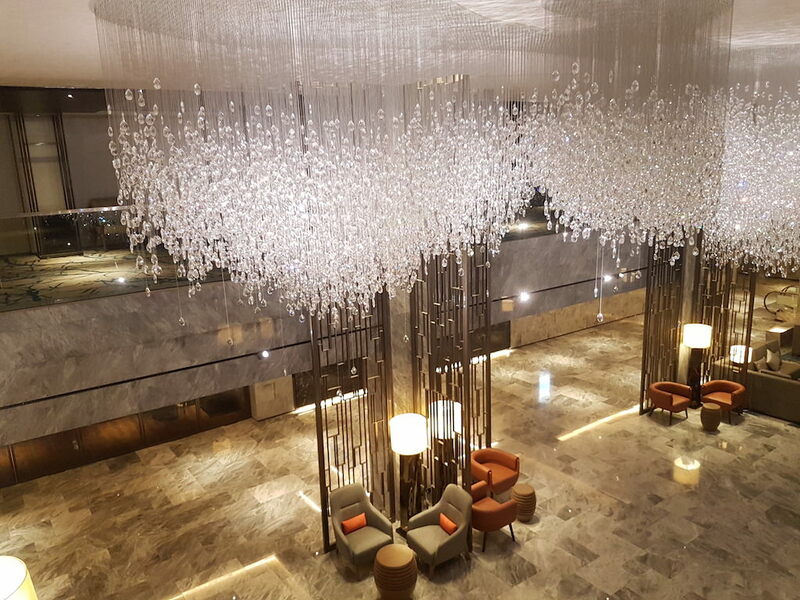 The stunning chandelier shaped like water droplets when it rain decorates the lobby. 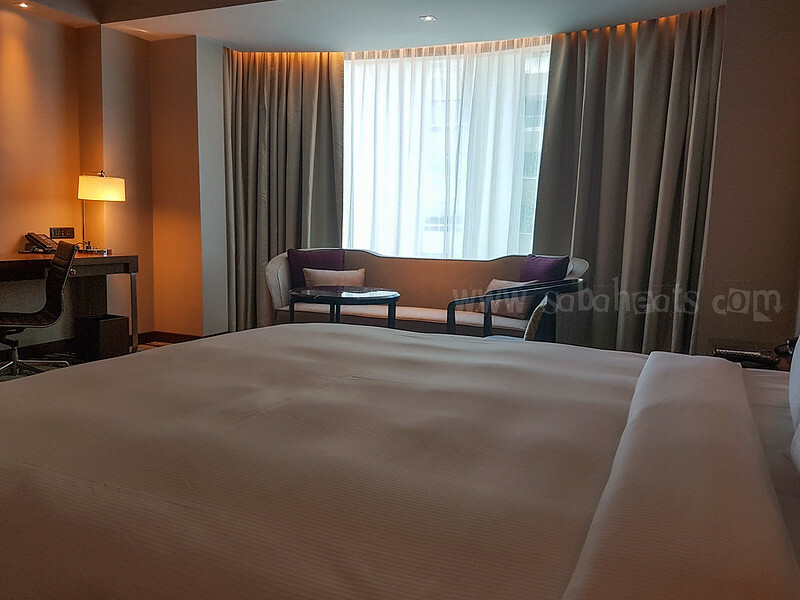 We stay at King Deluxe Room which features 48-inch TV, mini-fridge and walk-in rain shower. 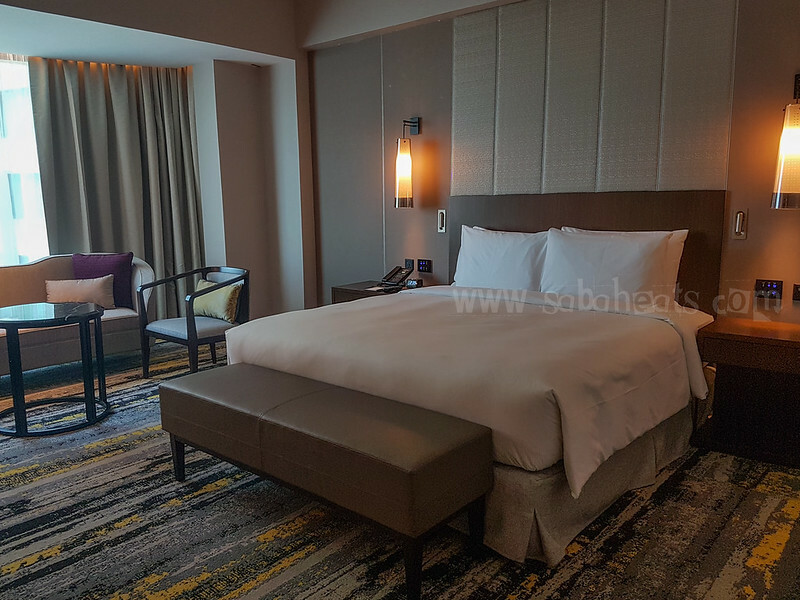 The room size is big for Kota Kinabalu standard. 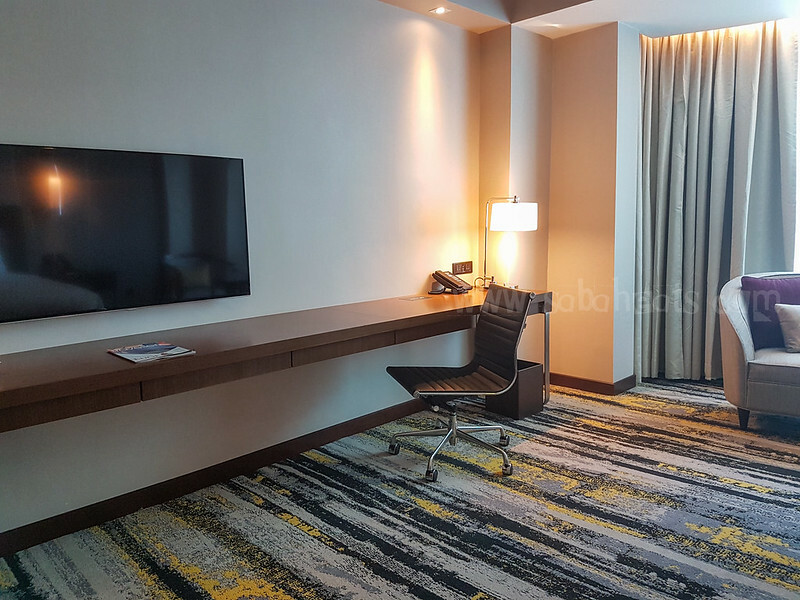 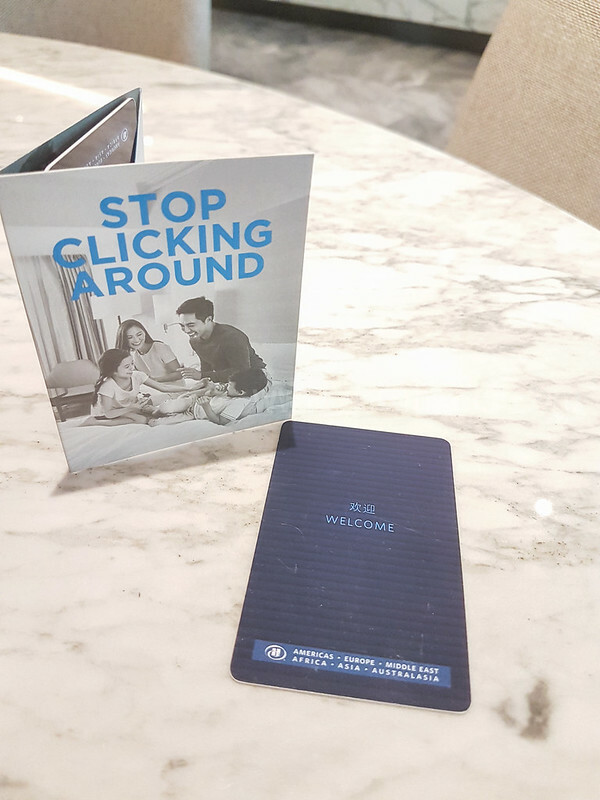 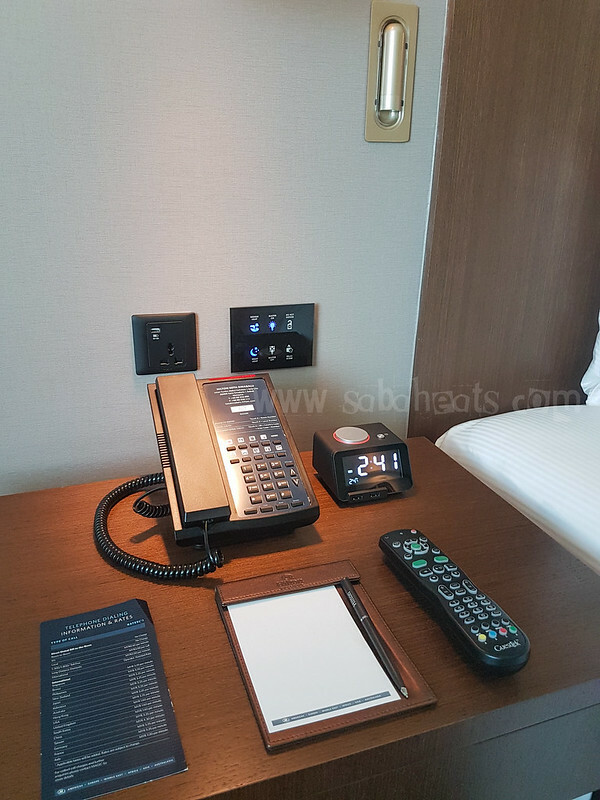 Hilton Kota Kinabalu offers smart technology in every room including automatic entry lighting, motion sensors lighting, plus a 48-inch IPTV with digital guest service directory and room service menu. 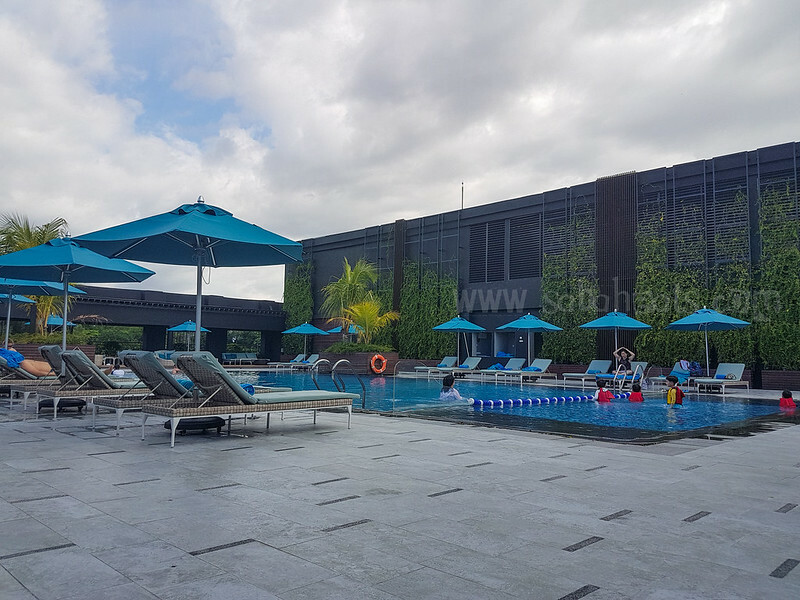 Hilton Kota Kinabalu feature one of the biggest rooftop pool in Kota Kinabalu. 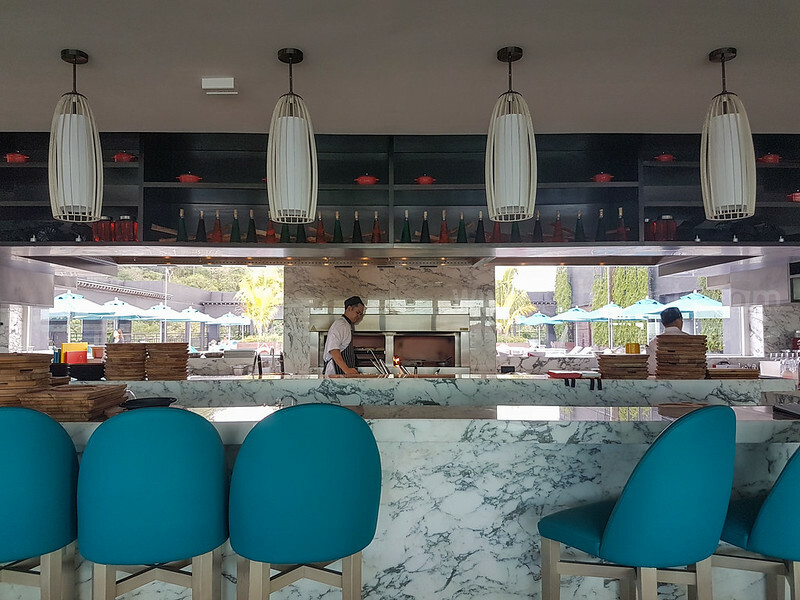 There are chairs and sun loungers for everyone and service by pressing the buzzer on the table. 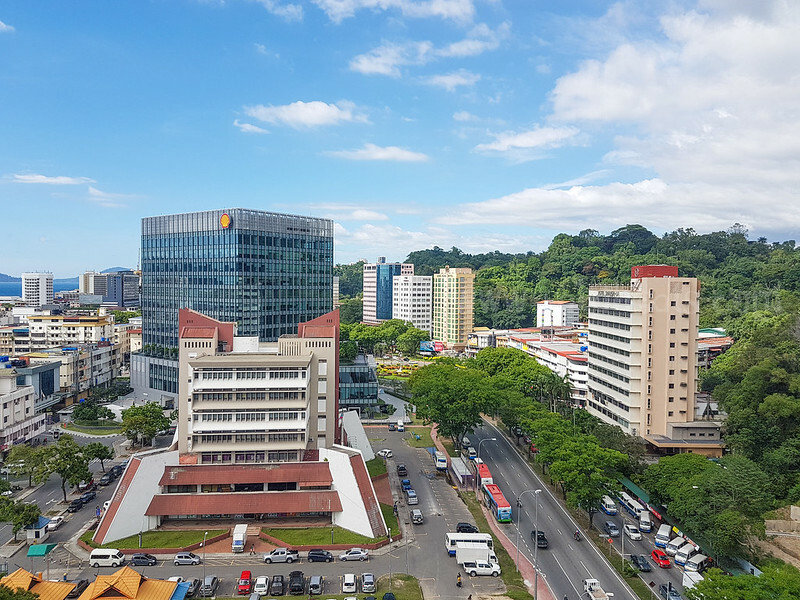 View of Asia city, Plaza Shell and surrounding area from the top floor of Hilton Kota Kinabalu. 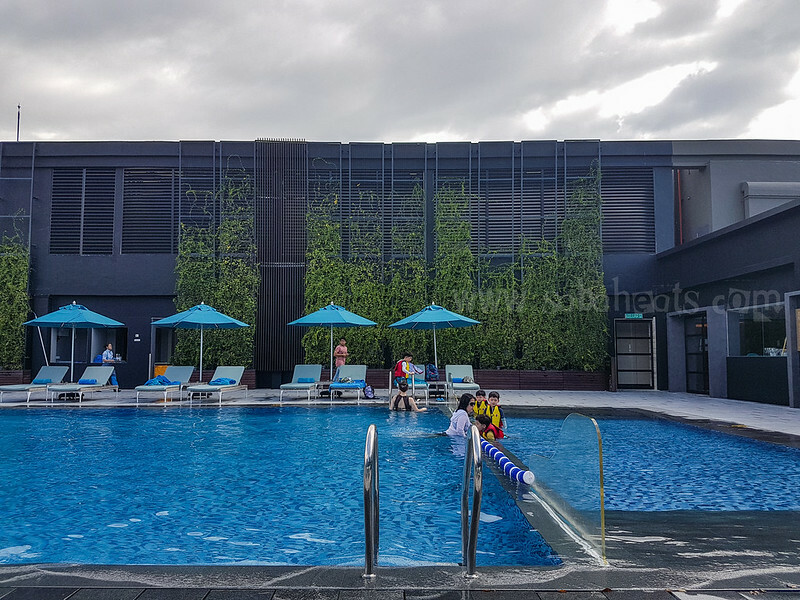 We relax by the pool while enjoying the foods from the Rooftop Restaurant. 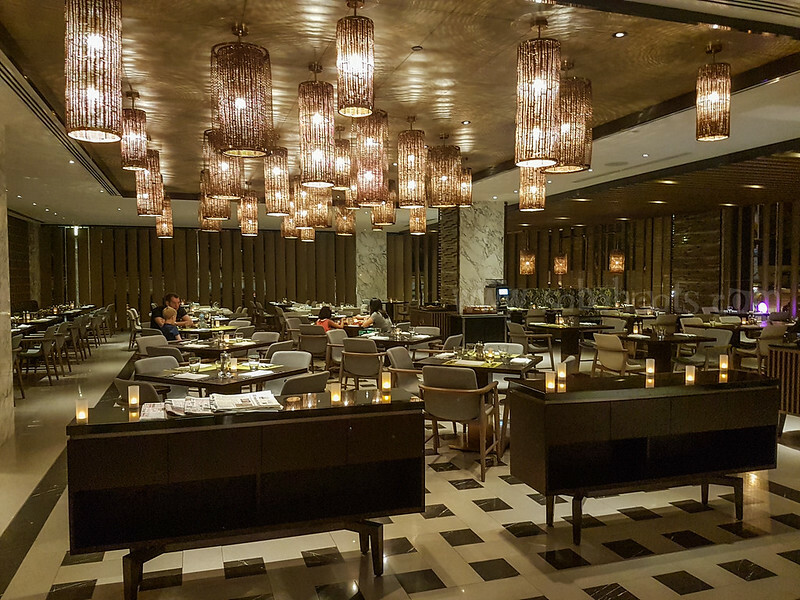 From the wood-fired grill, the Five chicken wings are tasty. 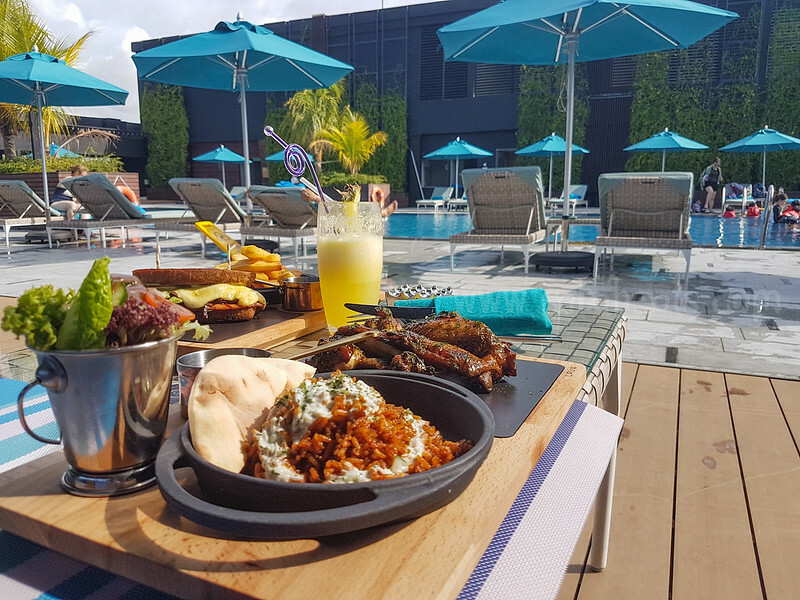 All grilled items come with homemade salsa verde, grilled pita bread, salad & pilaf rice. 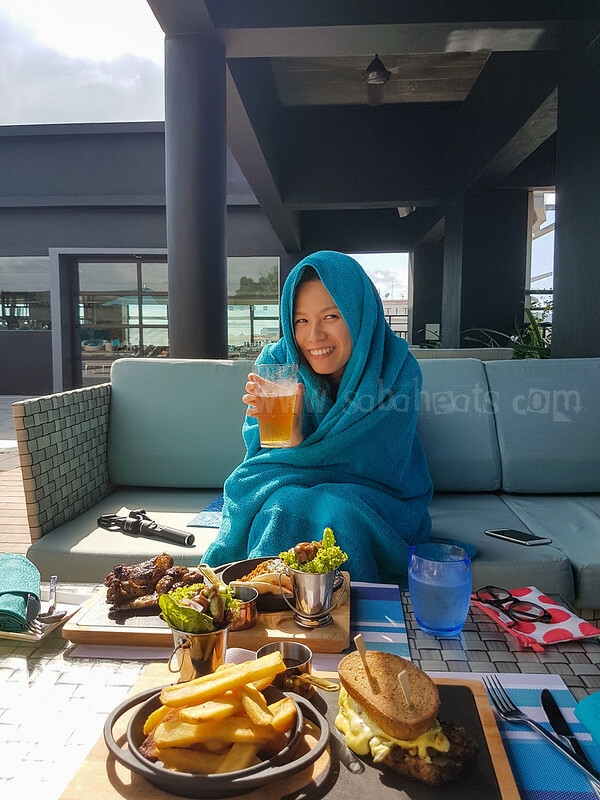 Big meal after swimming session by the pool. 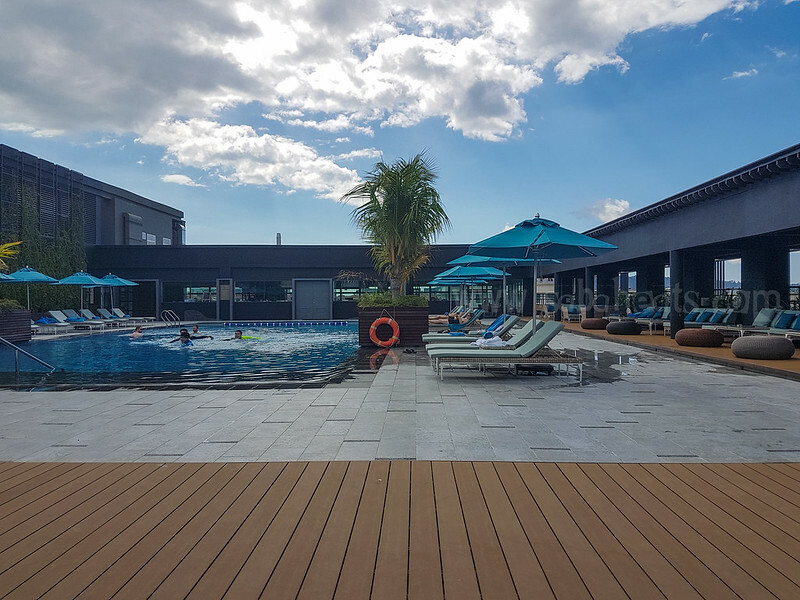 The Rooftop Restaurant and poolside Bar & Grill sharing the same menu so you will choose to have the foods at the pool or inside the Rooftop Restaurants. 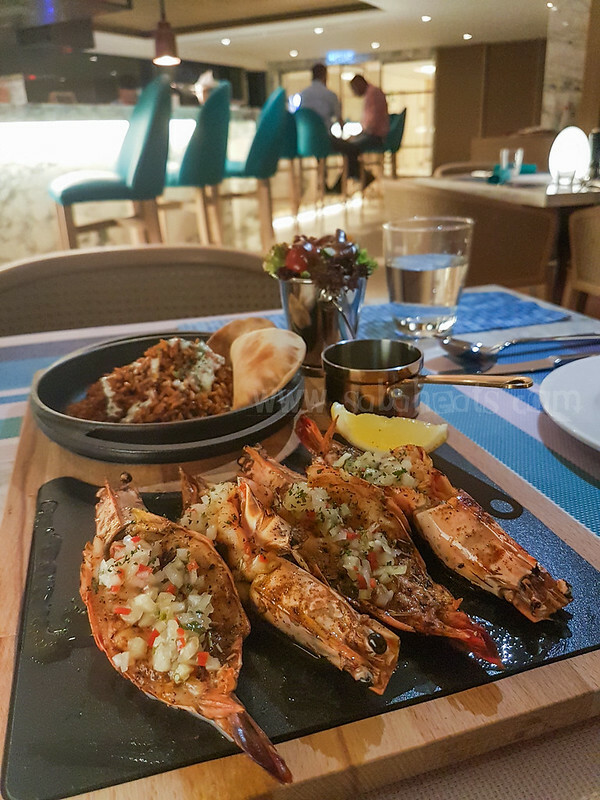 For dinner, We tried the Sabah tiger prawn marinated in lemon & rosemary which is fresh with the taste of sea and herbs. 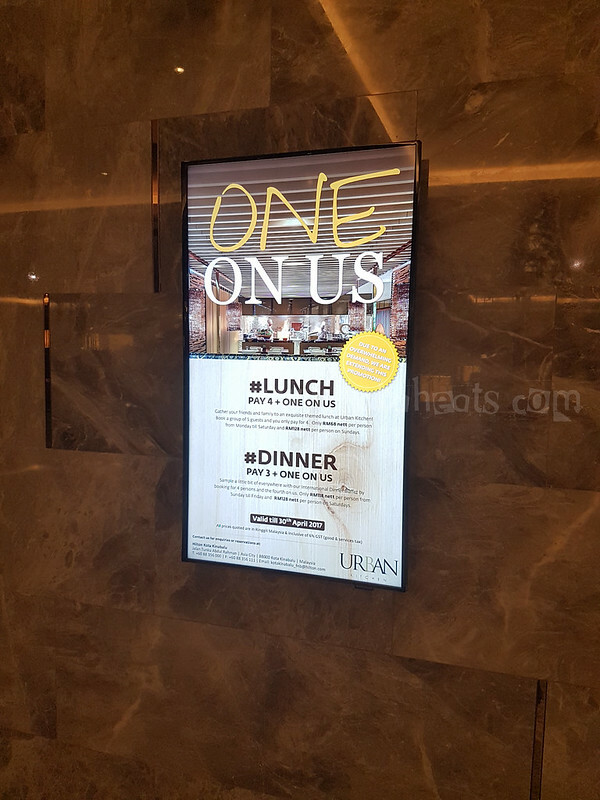 The menu at Rooftop Restaurant is limited for and we decided to have more foods at the Urban Kitchen on the ground floor. 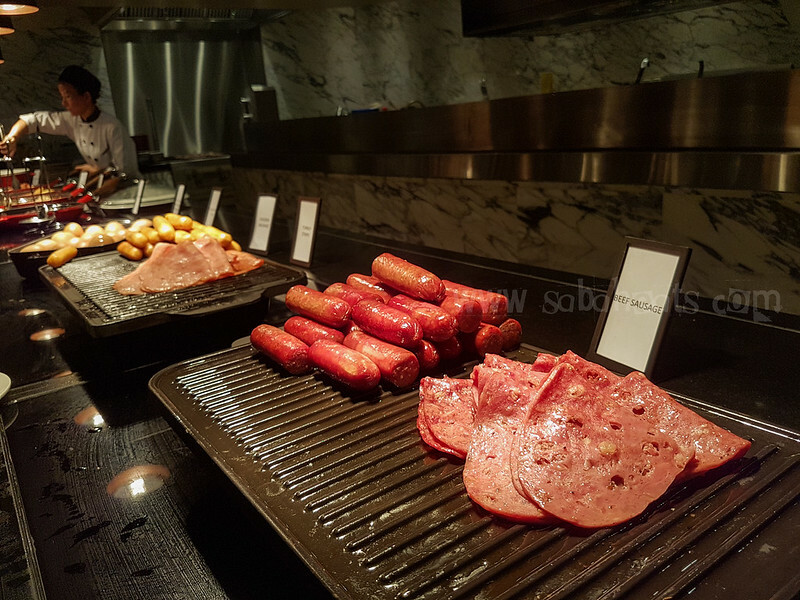 The lunch buffet price is RM68 nett per person from Monday till Sunday and RM128 nett per person on Sundays. 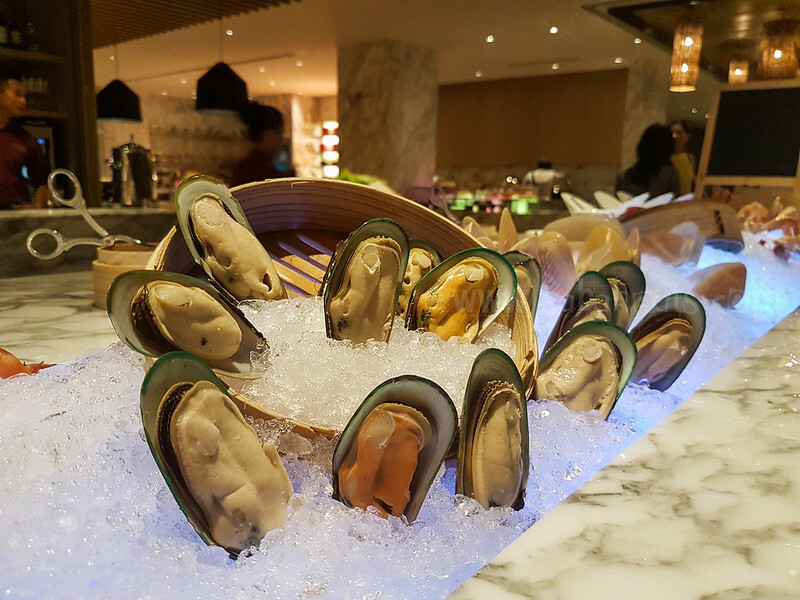 Dinner buffet price is RM118 nett per person from Sunday till Friday and RM128 nett per person on Saturdays. 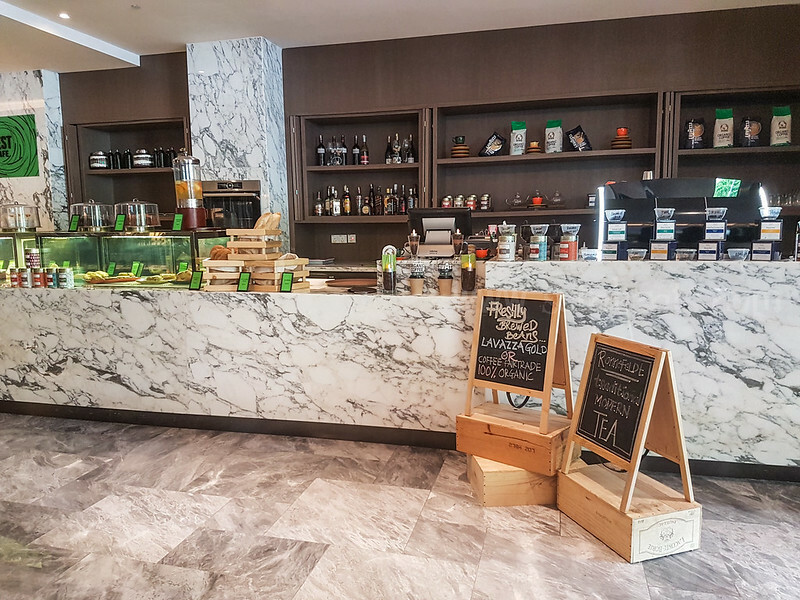 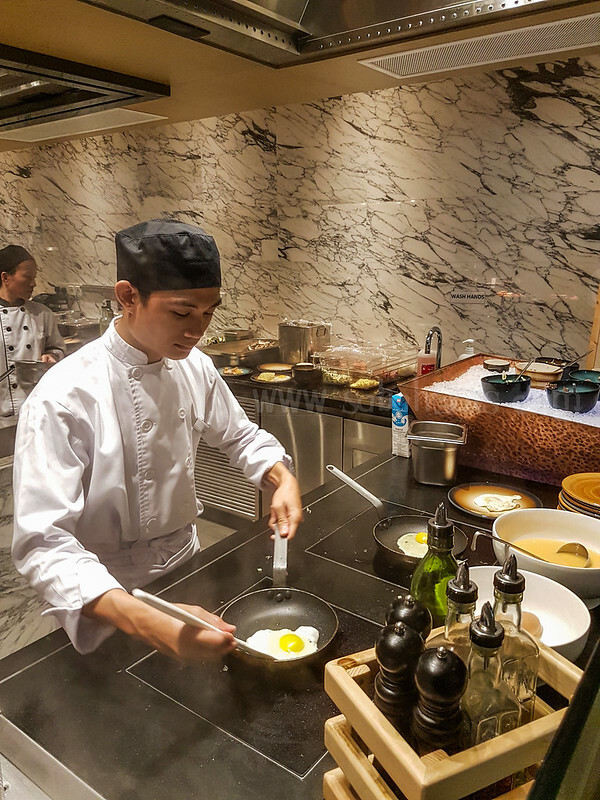 Breakfast is served at Urban Kitchen and the selection for breakfast is what you expect from Hilton standard.